There are many challenges in our modern lifestyles. At work we’re doing more with fewer people, keeping on top of busy workloads, deluged with information and meeting demanding customer and business expectations. And in our busy personal lives, we do our best to keep a work-life balance, juggle family, friends and social life around the things we need to get done. Put these together and it’s no wonder we feel that there’s never enough time in the day and that days, weeks and months flash by. It’s almost as if the earth was rotating faster around the sun, but the scientists haven’t noticed. So, it’s no wonder that we sometimes experience stress, anxiety, frustration, or low mood. 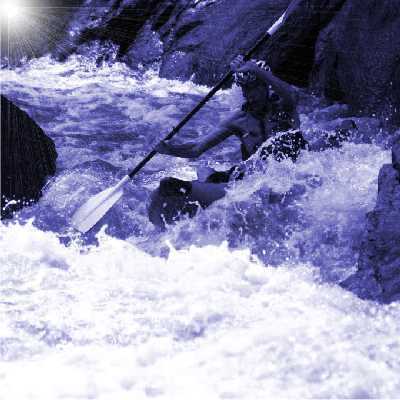 Like an experienced white-water canoeist, deftly working his way through the turbulent water and rocks, practising mindfulness can make a useful difference in how skilfully we negotiate life’s challenges. As our attention typically drifts into automatic thought half of the waking day, improving the quality of our attention allows us to better observe, and be more aware of, what’s going on. We can notice when our mind and emotions are agitated and full of noise and do something practical and positive about it. Using the right skills, we can shift from a noisy, agitated, limited and unaware space, where we can’t think straight and are more likely to react based on past habits, to one that’s calm, spacious and aware, where we can find the cognitive space and clarity to evaluate options and respond skilfully. The Three-minute Breathing Space practice was developed by the founders of Mindfulness-based Cognitive Therapy as a relatively quick way to intentionally move the attention and acknowledge what’s going on in the present moment. In other words, shifting from an agitated and drifting, to a calm and alert state. The practice we’ll explore here adapts and extends this approach with relaxing and releasing tension, as well as expanding the awareness.